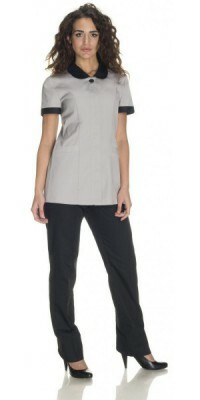 Women's short-sleeved tunic, model OlgaLight Grey, with button, collar and sleeves profile in BlackImmediately available for delivery: sizes from XS to XL Made of Lightweight Soft-Feel Gabardine, 50% Cot., 50% Pol. 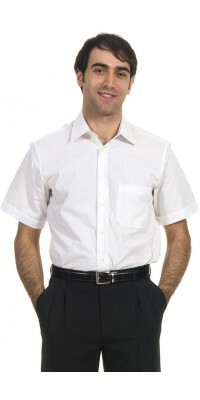 Women's long-sleeved shirt with mandarin collar close-fitting modelWhite colourImmediately available for delivery: sizes from S to XL Made of Aurora Poplin, 65% Pol., 35% Cot. 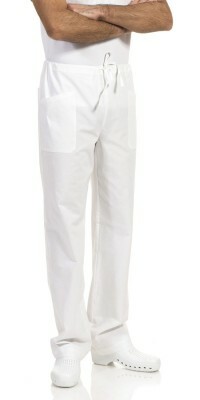 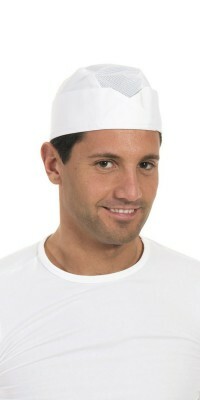 Apron model Imperia with round-neck two pockets - unisex model Black colourAdjustable one sizeMade of Gabardine Plus, 100% Pol. 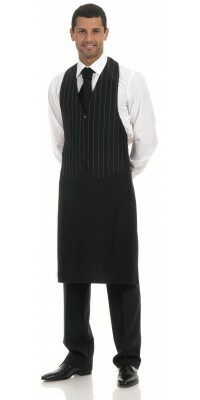 Apron with bib, model Cortina Contrasting vest - unisex model Black Pinstriped Adjustable one sizeMade of Victory Gabardine, 100% Pol.